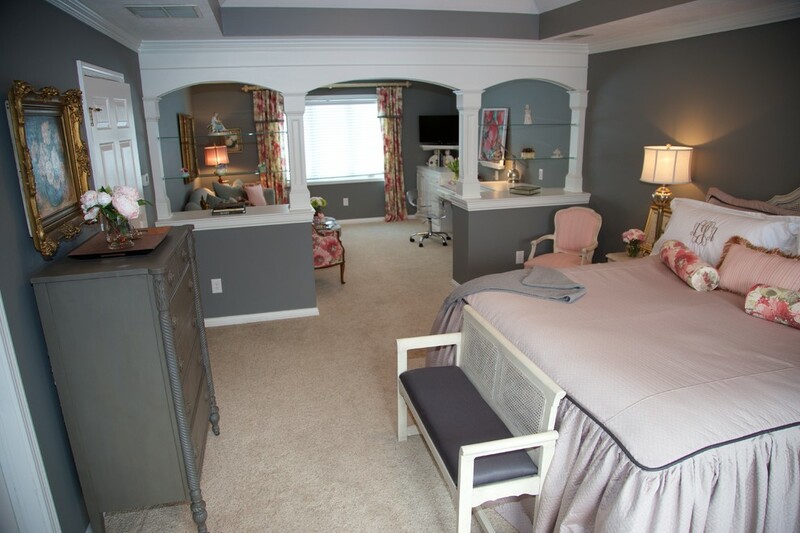 Large Master bedroom that begged to be divided into more usable space. My client was using her dining room to study for classes. 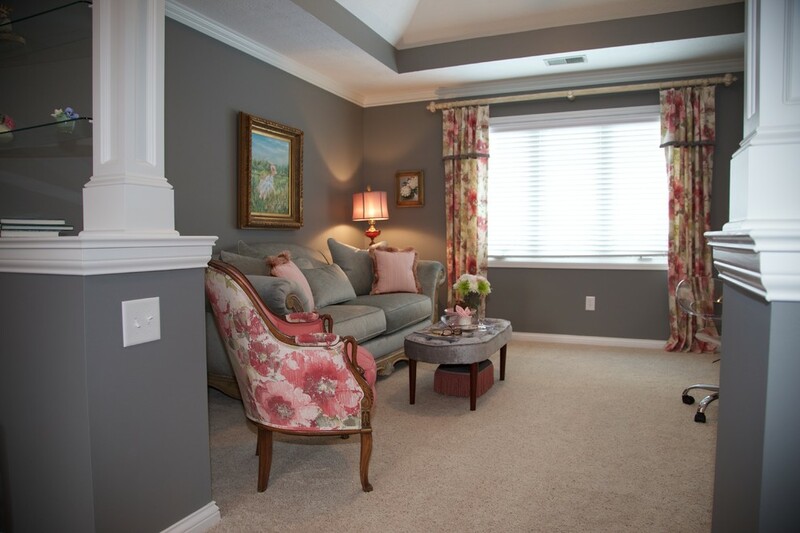 I transformed the front part of the master bedroom into a feminine sitting room with custom desk/storage cabinets and custom millwork that defines the sitting area from the sleeping area. Glass shelves help define but not close off. 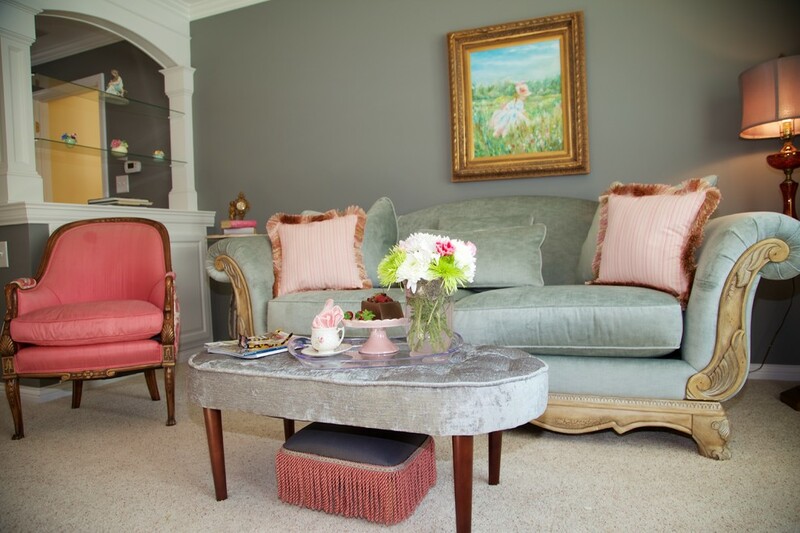 Our color palette came from a painting her mother did and all the furniture were either personal antiques or resale "finds" that we had refinished. 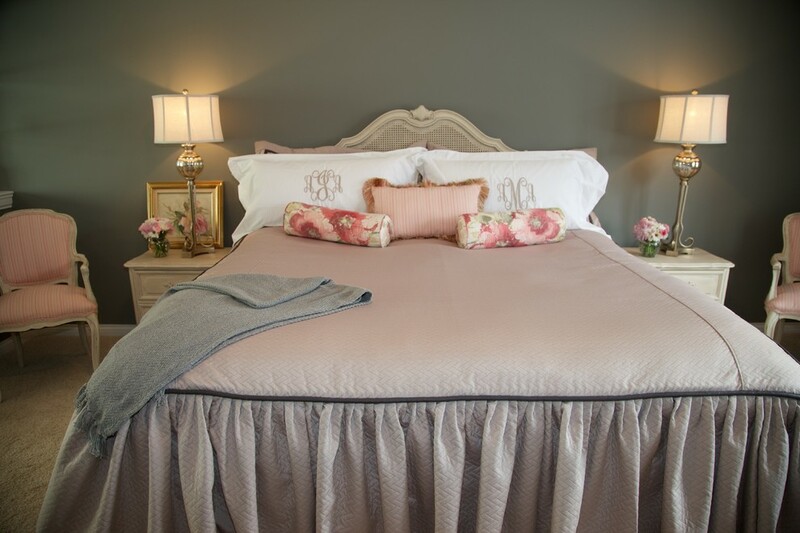 My client wanted a beautiful feminine bedroom incorporating family antique furniture and places to display treasured pictures without looking cluttered. 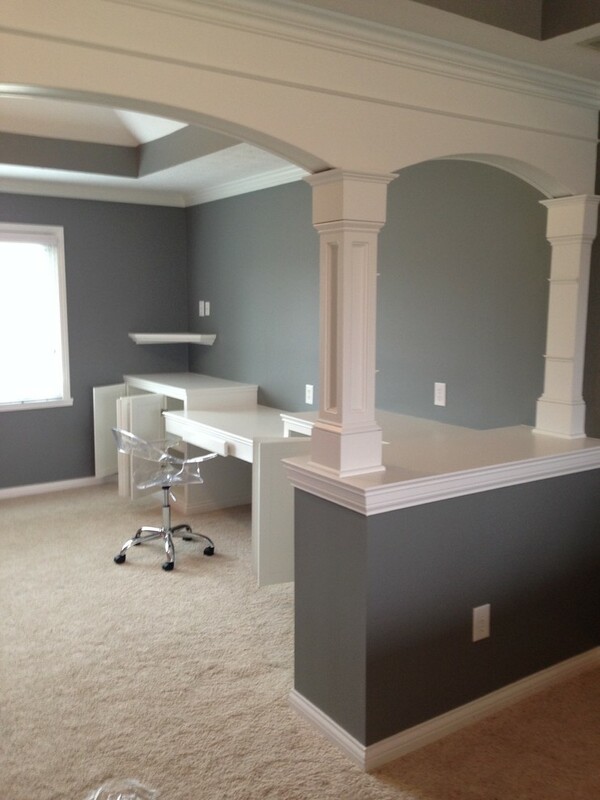 She also wanted a custom desk and storage area in the sitting area. Here is our color palette. Antique chair and sofa. 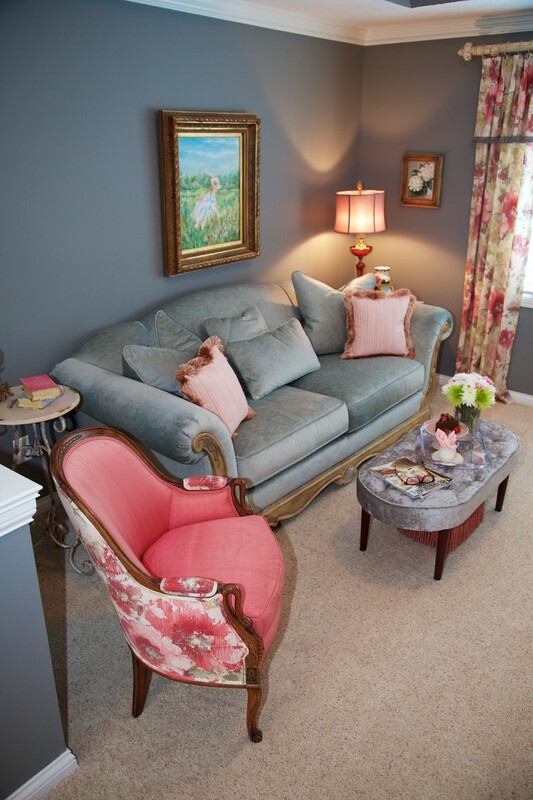 Sofa was reupolstered in gray velvet and the chair was reupholstered to coordinate with the custom drapes. 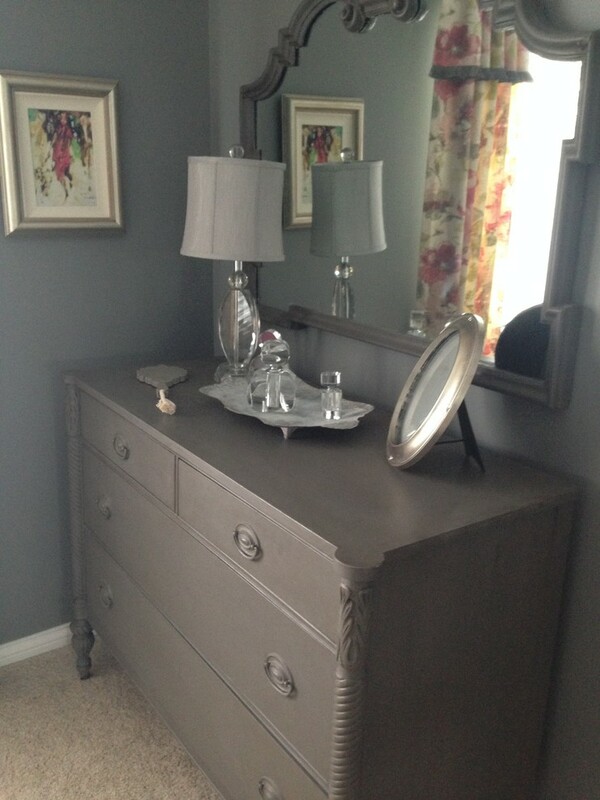 Drapery hardware by Brimar. Custom millwork and glass shelves were added to distinguish the sleeping area from the sitting room/desk area without closing it off completely. 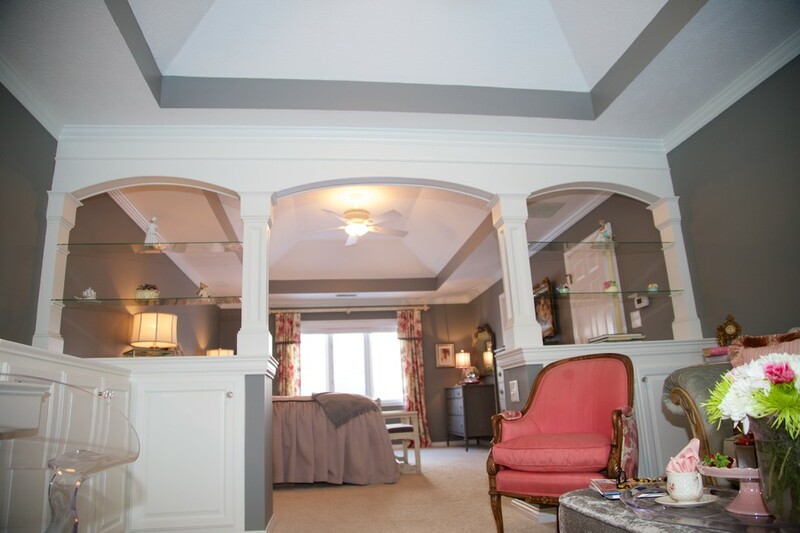 Custom millwork divides the space. Glass shelves will be fabricated between the pillars. 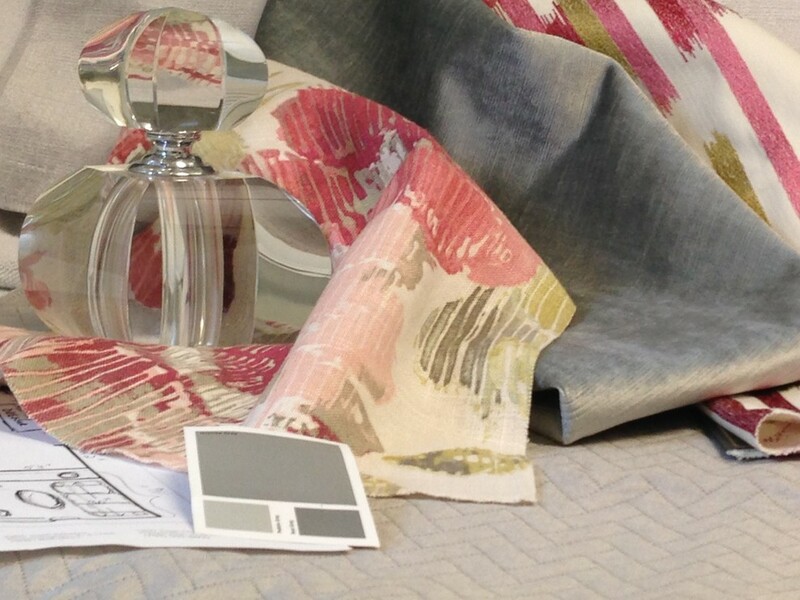 Client requested a full size bedspread that drops to the floor. 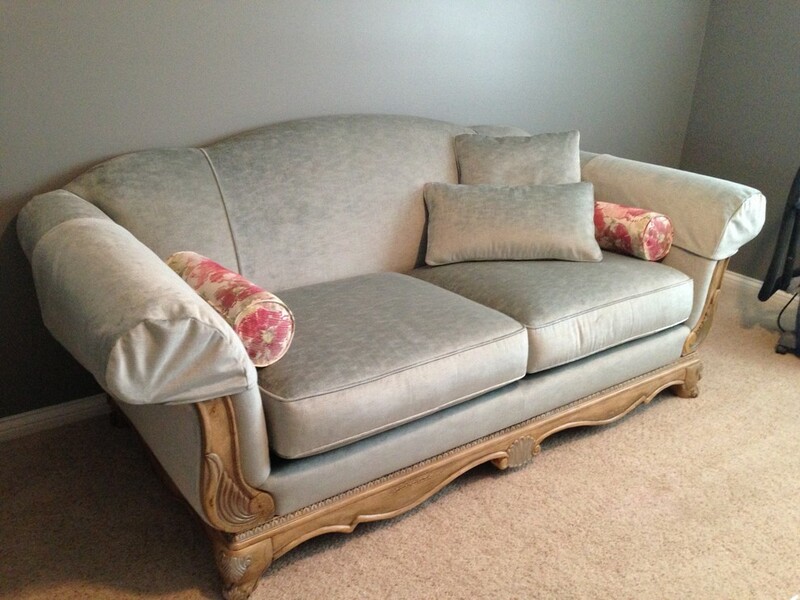 Sofa just arrived from the upholsterer!